Research of my laboratory focuses on the molecular and genetic basis of insecticide resistance. We use Drosophila melanogaster as a model insect to understand how insects become resistant to insecticides. Specifically, we study transcriptional regulation of cytochrome P450 (Cyp) genes which code for a family of enzymes involved in detoxification of xenobiotic (foreign) compounds including DDT and other insecticides. In resistant strains of Drosophila, multiple Cyp genes which map close to the resistance loci show significantly higher level of expression compared to the susceptible strains. However, it is not known whether only one or multiple Cyp genes are involved in DDT metabolism. The mechanism of over-transcription of these genes is also not known. My lab is working on these two problems. We also study induction of Cyp genes by various xenobiotics. We found caffeine, the most heavily consumed xenobiotic induces several Cyp genes including the ones showing resistance-associated over-transcription. We use various molecular biology and genetic techniques, cloning, sequencing, transgenic technology and microarray to study the resistance mechanism, metabolic functions of selected P450 enzymes, Cyp gene regulation and the mechanism of Cyp gene induction by caffeine. Kuruganti, S., Lam, V., Zhou, X., Bennett, G., Pittendrigh, B. R. and Ganguly, R (2007) High expression of Cyp6g1, a cytochrome P450 gene, does not necessarily confer DDT resistance in Drosophila melanogaster. Gene 388:43-53. 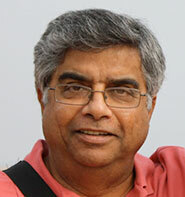 Bhaskara, S., Dean, E. D., Lam. V and Ganguly, R. (2006) Induction of two cytochrome P450 genes, Cyp6a2 and Cyp6a8, of Drosophila melanogaster by caffeine in adult flies and in cell culture. Gene 377:56-64. Boake CRB, McDona K, Maitra S and Ganguly R (2003) Forty years of solitude: life-history divergence and behavioral isolation between laboratory lines of Drosophila melanogaster. J. Evol. Biol. 16:83-90. Maitra S, Price C and Ganguly R (2002) Cyp6a8 of Drosophila melanogaster: Gene structure, and sequence and functional analysis of the upstream DNA. ­Insect Biochem. Mol. Biol. 32: 859-870.